Every spiritual seeker knows that there are seven main chakras�also described as energy centers or wheels of light. Blocked energy in the chakras can often lead to physical illness as well as spiritual malaise. The trick is how to balance these systems in our lives, and in The Seven Chakra Sisters, spiritual psychotherapist and healer Linda Rosenthal shows us exactly that. Rosenthal takes readers on a metaphysical, metaphorical romp into the world of the 7 chakras. She offers a delightful teaching fable about the unique personalities of the 7 Chakras to help us understand the important role they play in our health and well being. 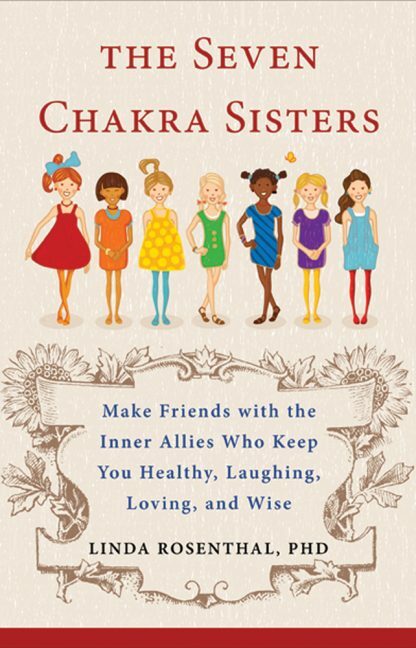 Through her light-hearted and funny exploration of the personalities and relationships of these chakra siblings, Rosenthal seriously shows readers how to achieve optimal physical and emotional health.